Do you know what is in your carpet? Did you know that carpet can hold up to 4 times their weight in dirt and more? If you’re moving into a home that has pre-existing carpet you may want to think about what might be hiding in that carpet. The truth is, no one really knows what might be in that carpet except for the previous home owner (and even they may not know!). Dogs, kids or years of living on that carpet could be hiding dirt creating an unhealthy environment for you and your family. 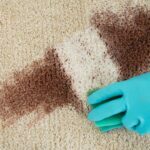 If you don’t feel like you can lay ON your carpet without thinking of what’s hiding IN that carpet, you probably need to replace the carpet in your home. The good news is that we’ve made replacing your old carpet easier than ever. 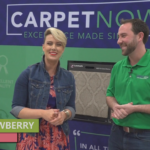 You can now have new carpet in your home this week and say goodbye to that filthy carpet for good. Would you like to find out more? Click here to read about our process and how simple we make replacing the carpet in your home.